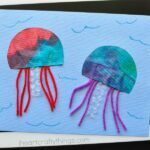 This past weekend we shared a tip on Instagram for how we paint with liquid watercolors and after painting two sheets of newspaper we’ve had so much fun all week making colorful newspaper crafts that are perfect for spring time. 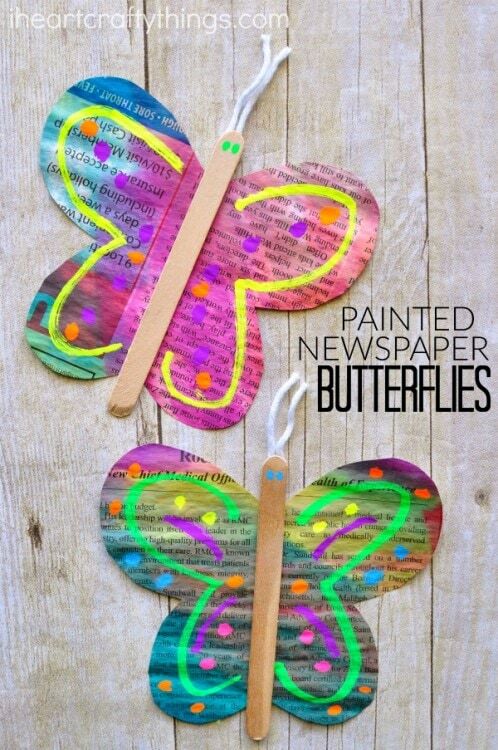 Our latest is this cute painted newspaper butterfly craft. It’s so simple and so fun. Your kids are going to love it! 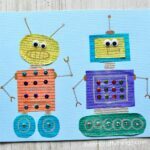 *We received our craft sticks from our friends at Craftprojectideas.com. Any opinions expressed are 100% my own. 1. 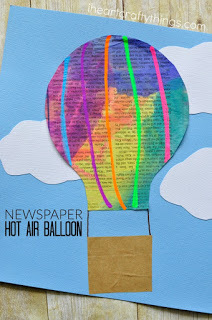 Start by painting your newspaper with your liquid watercolors. The newspaper will be saturated but don’t worry. Let it sit to dry overnight and it will harden back up. 2. Fold a section of newspaper in half and cut out the shape of a butterfly wing. When you unfold it you’ll have two butterfly wings. 3. 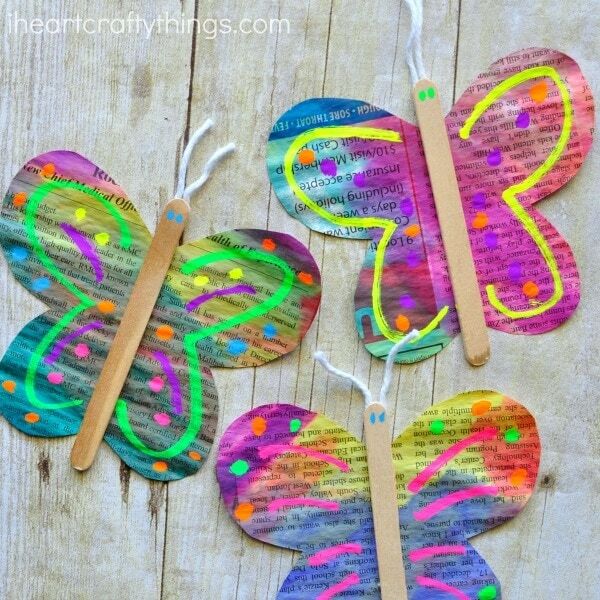 Glue a craft stick in the center of your butterfly wings. 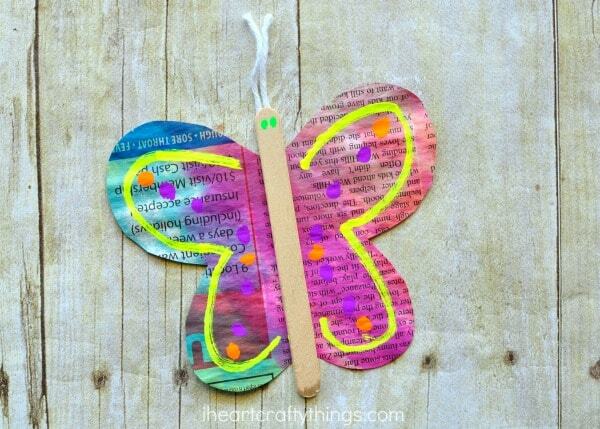 Use your Fun Chalk markers to decorate your butterfly wings and add eyes to your butterfly. 4. 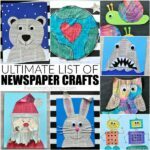 Finish your painted newspaper butterfly craft by folding a piece of white string in half and gluing it onto the back of your craft stick to make butterfly antennae. 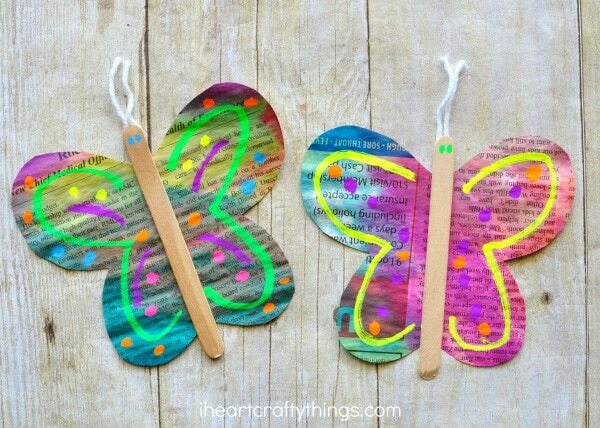 Want to make this fun butterfly craft as a book extension activity?